Technology has always been a driving force of change. It has radically transformed education. Students have the convenience and flexibility to study online. However, online education has also created a host of new challenges. One of the biggest challenges is protecting student privacy. Online universities need to take measures to protect student privacy. However, some of the responsibility falls on the student. If you are taking online courses, you need to take these steps to protect your privacy. You need to be carefully sharing any personal information over the Internet. You may not believe that sharing a specific detail is a big deal, but people can often learn a lot more about you. They can gain access to your online education accounts, which may have your billing information, personal contact details and other sensitive information. Hackers often use personal information to access their victims’ accounts. They often use social engineering to acquire it. They may send a friend request on Facebook, because they know many people share information that may help their guess your password or guess your security questions. There are a number of tools that allow people to get more information on their acquaintances. If they have your email address or full name, they can use Spokeo to get your address, social media profiles, estimated income and other personal information. They can use your personal information to impersonate you to your online school, creditors and other organizations. Always be very careful sharing information over email, school forums and other digital platforms. You have probably already heard that you should set a strong password to keep your online accounts secure. However, you probably aren’t following this advice. According to a survey from RoboForm, 63% of users have lost a password or had it compromised. Never keep written passwords near your computer. An estimated 27% of people admit that they write their password down. This isn’t the end of the world. However, you shouldn’t keep it near your computer. Opt for longer passwords. New cracking tools can guess passwords that over 15 characters long. You will be less likely to be hacked if you choose a longer one. Use a variety of special characters. Passwords that consist solely of numbers and letters are much easier to guess. Don’t use personal information in your password, such as your name, children’s names or your favorite sports team. Setting a strong password is the most important security precaution you can take. Choose it wisely. If you are using Google Chrome or FireFox, your browser will let you know about any security risks. They will tell you if a particular website has been reported for malware or is lying about its HTTPs certificate. You should pay close attention to these warnings. Sometimes they are errors, but you need to make sure you trust the site before proceeding. Sophisticated hackers use a variety of tools to exploit their victims. They may use brute force attacks against unprotected computers, which allow them to get full access to your computer. They can also install keyloggers, which let them record every keystroke. Choose a good firewall. ZoneAlarm Free Firewall, PeerBlock and OpenDNS are all good firewalls. They can hide open ports and block IP addresses that you don’t trust. Download a reliable malware protection software and update it regularly. Hitman Pro, Malwarebytes and Emsisoft Antimalware are a few of the best on the market. It should be updated at least once a week. Fortunately, most malware protection tools will automatically install new updates once a week. However, you may want to update them manually to guard against new threats. Run regular malware scans. You usually have to pay for real-time protection, so make sure you scan your computer regularly for new threats. 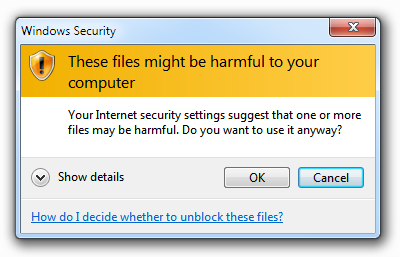 Malware protection software is your best defense, but you have to use it responsibly. VPNs are specialized tools that are designed to protect your online privacy. They act as a middleman between their users and the host connection, so others won’t be able to see your real IP address. They also encrypt your data, so it won’t be readable if a hacker manages to intercept it. As there are so many different providers you should read VPN reviews before subscribing to one. How do you keep safe online? Leave a comment below. Next Get students learning by MAKING quizzes instead of TAKING quizzes.